I have two different hair styles: down and up. 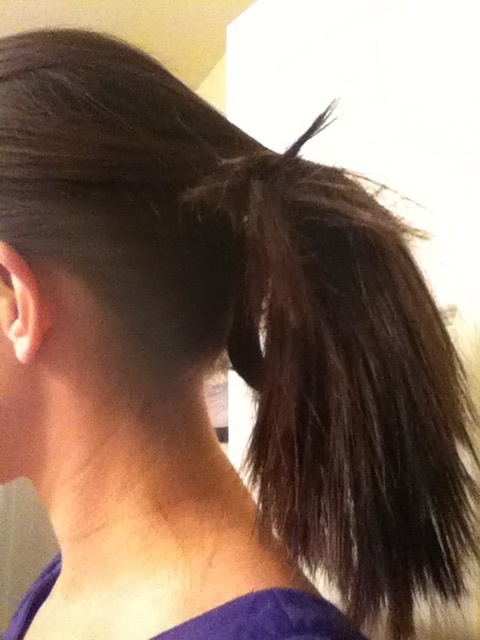 I have really straight hair, so I just have to straighten the ends after I blow dry it. 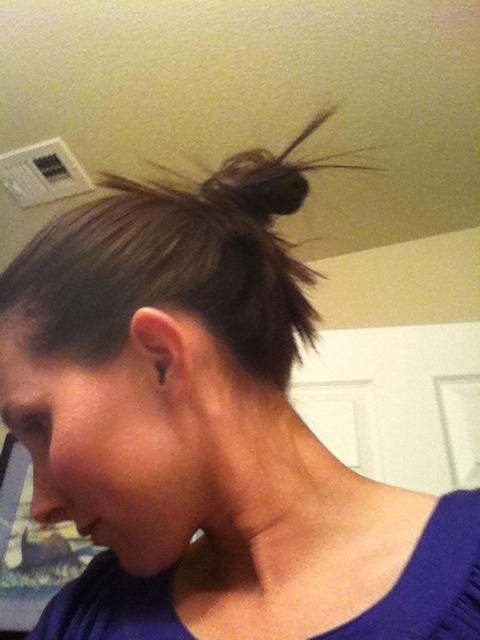 My other option is pulled back in a ponytail. If you know me, you know that’s the extent of my hair styles. I don’t know how to braid or do anything fancy. 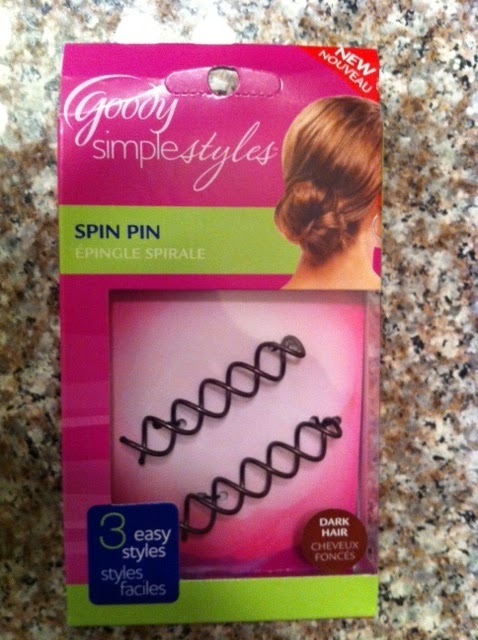 When I first saw the goody spin pins I was intrigued. They made it look so easy! But I know I’m the perfect person to test them out, because I have ZERO skills when it comes to hair styling! I first checked at wal-mart and they were sold out, luckily target had them and in the dark hair color. They’re a lil bit cheaper at wal-mart so I would suggest picking them up there if money is a factor for you. These look simple enough right? Hmmmm we’ll get to that! They’re not very big, but seem strong, it wouldn’t be easy for me to break them (always a plus when you’re a klutz). 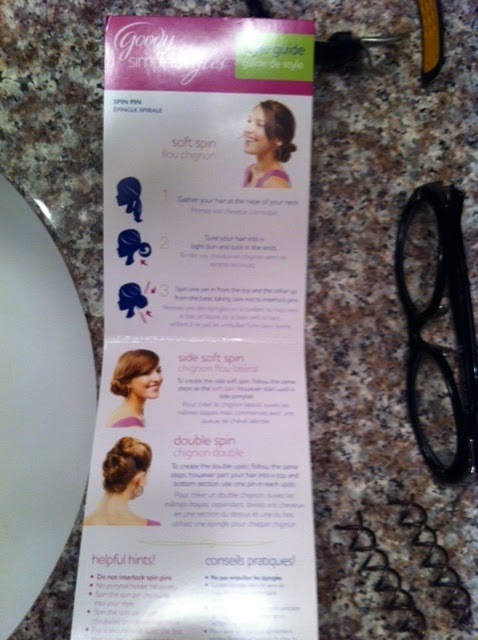 This little instruction booklet is shows you the 3 “easy” steps. I guess if you’re hair talented it is! Before picture. Notice the smile on my face, it does not last long before frustration sets in. 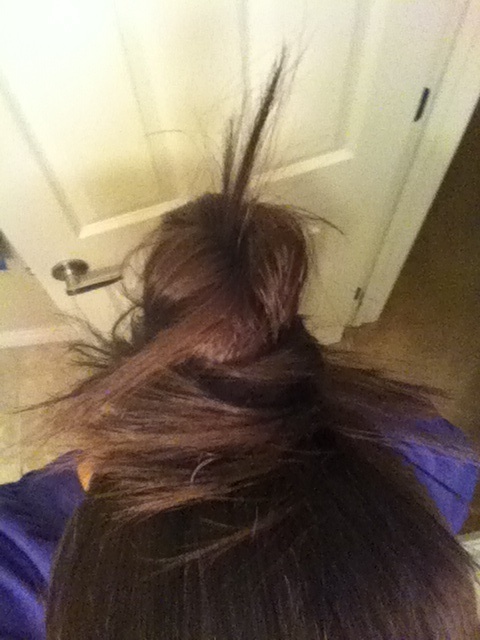 Attempt one, total failure, I couldn’t get my hair to stay up in it. Attempt 2 was better but a little bit messy. Side view of attempt 3, decent if I’m going for a messy look! I think with more patience (and less sangria, I made my own last night and had a glass or two before attempting this) I would be more successful. 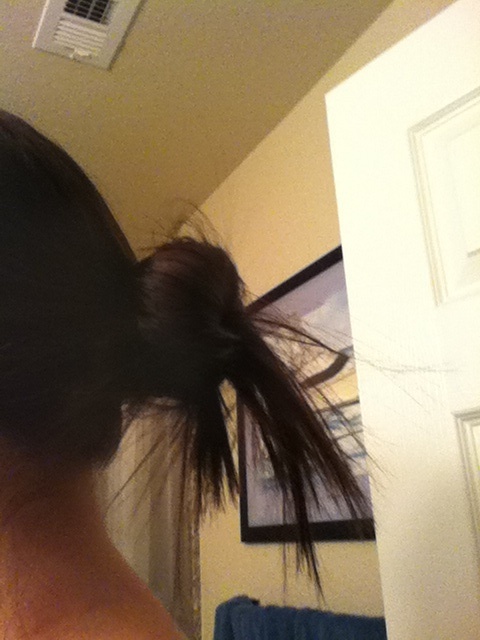 I also used a hair tie to have a more solid base to begin with. 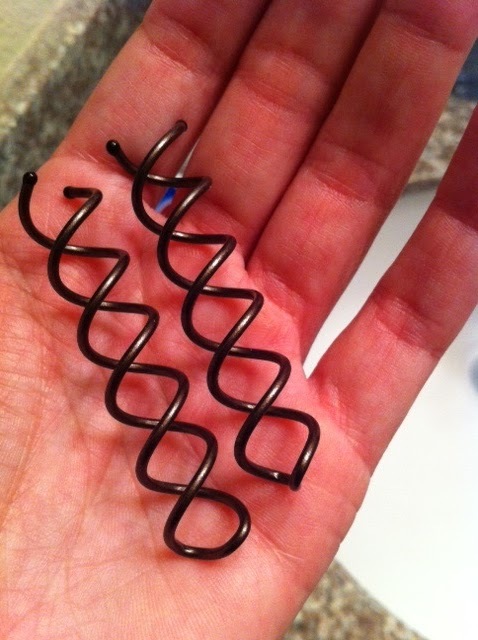 I look forward to having more time to play around with these to add a new style to my hair style portfolio. If you’re looking for a step to step guide, Goody’s twitter sent me the following link to a youtube video. She makes it look so easy! Overall I think this has potential to be a great hair styling tool, if only I could figure out how to use it! What are your favorite or go to hair styles? 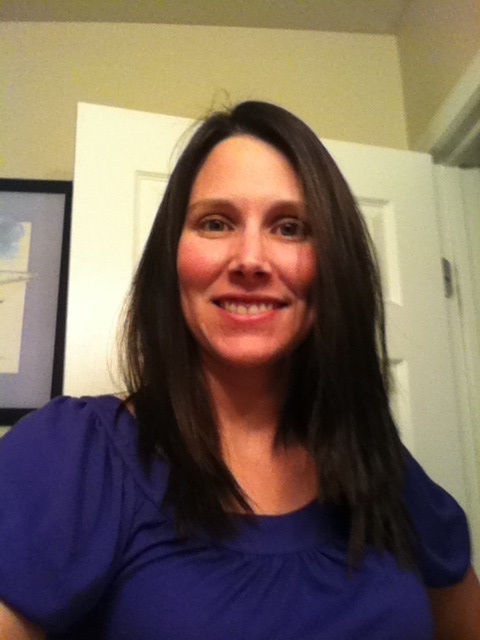 Do you try new hair products?